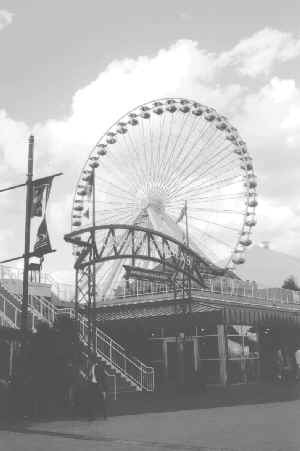 The MLA Centennial celebration year continued with the May 14-19, 1999 meeting in Chicago. The meeting took place in the Hyatt Regency Chicago. The theme of the meeting was "Present Tense: Future Perfect?" There were 2479 participants in total. 103 Vendors set up booths and publicized their products in the exhibit hall. At the opening session of the meeting, Gay Davies (UK) expressed warm greetings on behalf of EAHIL. Daniel Burrus, Chief Executive Officer of Burrus Research Associates, Inc. in Milwaukee, Wisconsin presented the first Plenary speech entitled "Future View: Toast of the Town or Just Plain Toast." Sherrilynne Fuller, Ph.D., Director of the Health Sciences Libraries and Information Center of the University of Washington - Seattle, presented the annual Janet Doe Lecture. The Janet Doe Lecture is an inspiring talk on some aspect of the philosophy of medical librarianship. Dr. Fuller's presentation was entitled "Enabling, Empowering, Inspiring: Research and Mentorship Through the Years". Daniel Callahan, Ph.D., Director of International Programs of the Hastings Center in Briarcliff Manor, New York, presented the Joseph Leiter NLM/MLA Lecture entitled "Can we afford technological progress and an aging society". This interesting presentation called for rationing of health care in the US much like some European countries ration health care. He called for much more preventive medicine. 1. Training Internet Trainers in the New Independent States of the Former Soviet Union by Terry A. Henner of the Savitt Medical Library, University of Nevada School of Medicine in Reno, Nevada. 2. Enhancing Global Information Access to Infectious Diseases by Jie Li of the Biomedical Library of the University of South Alabama in Mobile, Alabama, and Gang Wu of the Shiffman Medical Library of Wayne State University in Detroit, Michigan. 3. Health Science Libraries in the Next Millenium in the Indian Context by Jagdish G. Sharma and Rajiv Sarin, M.D. of Parel, Mumbai, India. The closing event of the conference was a huge party at the fabulous Navy Pier.